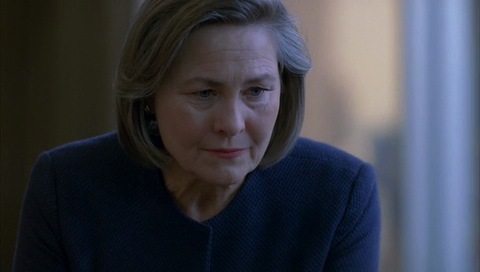 (8:00PM – 9:00PM) Dana Walsh sticks up for herself a bit, but Kevin reminds her that she’s a federal employee who gained security clearance to CTU under false pretenses, which is a felony that she can go away for life. (9:00PM – 10:00PM) President Taylor addresses concerns about President Hassan’s recent unlawful actions. She speaks about the undercover operation taking place and asks everyone to have patience. (11:00PM – 12:00PM) Rob Weiss suggests that it’s time to consider a fallback position for their negotiations with President Hassan but President Taylor says it’s too early to break faith with him. She says if the nuclear rods arrive in the Islamic Republic with radicals in control of them, Hassan’s political future will be the least of their problems. 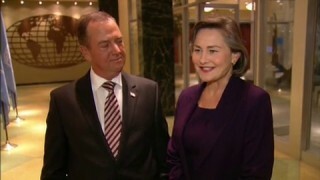 In the other clip, Renee Walker feels guilt for not returning Jack Bauer’s phone messages. She says that she wanted to talk to him but didn’t want to drag him down with her personal issues after he finally found peace in his life. 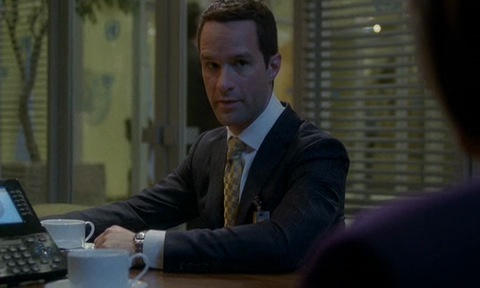 (9:00AM – 10:00AM) Charles Logan calls President Taylor and asks if she’s locked down Jack Bauer. She replies that he was put a helicopter to McGuire Air Force Base under armed guard. Logan says he has experience with Bauer and suggests that is not enough to contain him. 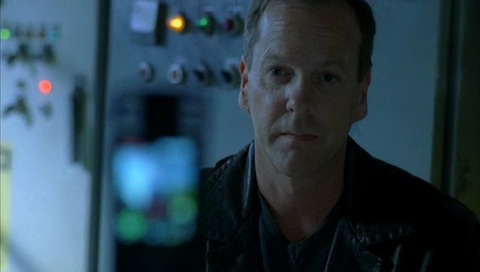 (2:00PM – 3:00PM) An extended version of Jack Bauer’s message to his daughter Kim. He describes why he is doing what he did, the names of the people responsible, the President’s cover up, and more. 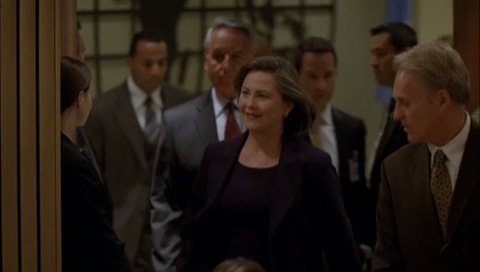 (3:00PM – 4:00PM) President Taylor watches a television report of a suspected sniper (Jack Bauer) being arrested before Charles Logan enters the room. Don’t know what to watch now. Jack’s gone….